Thirty-four percent of 2018 retail electricity sales in California were served by renewable energy such as wind, solar, geothermal, biomass and small hydroelectric power. That estimate from the California Energy Commission’s recent Tracking Progress Report on Renewable Energy indicates that the state is on track to surpass the Renewables Portfolio Standard (RPS) goal to procure 33 percent of electricity from eligible renewable energy facilities by 2020. California’s RPS is among the most ambitious clean energy policies in the nation. The RPS requires the state’s load-serving entities to procure increasing amounts of renewable energy to serve customer demand. The current RPS goals require 33 percent of retail sales from renewable resources by 2020, 44 percent by 2024, 52 percent by 2027, and 60 percent by 2030. Additionally, the state has made a commitment that renewable energy resources and zero-carbon resources supply 100 percent of all retail sales of electricity by 2045. The 34 percent renewable accomplishment is an important indicator for California’s progress with its RPS goals. 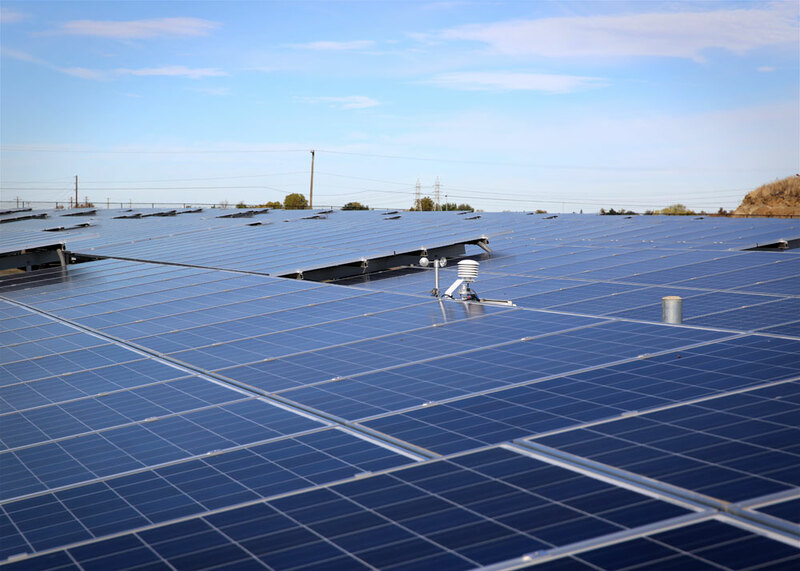 • Solar represented the largest portion of renewable generation serving California’s electricity load. • Solar and wind accounted for more than 69 percent of renewable electricity generation (not including behind-the-meter or off-grid solar generation). • In the past five years, solar generation has increased nearly 490 percent. • In the past five years, behind-the-meter solar resources increased approximately 310 percent. 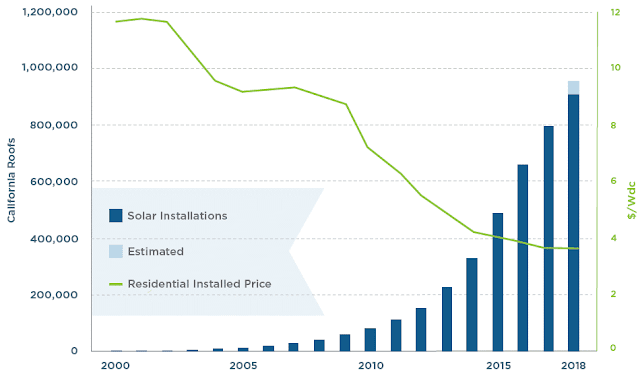 • California will soon achieve the goal of 1 million solar roofs with an estimated 958,000 solar systems installed.